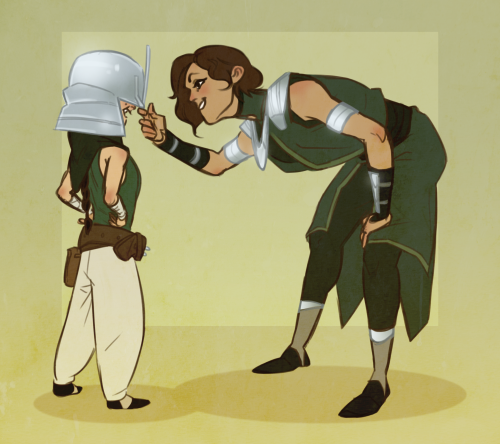 Su Beifong and Kuvira. "You'll be captain of the guard one day.". 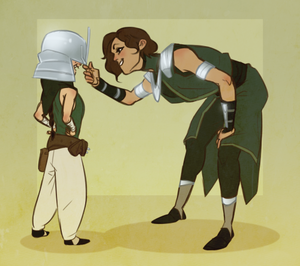 Wallpaper and background images in the avatar-la leyenda de korra club tagged: photo kuvira suyin beifong su beifong beifong legend of korra avatar. This avatar-la leyenda de korra fan art might contain animado, cómic, manga, historieta, anime, and dibujos animados.